26"x20" Victorian style open top Parrot Cage with balcony for medium size bird and parrot like cockatiel, conure, quaker, caique, senegal, amazon, african grey, etc. 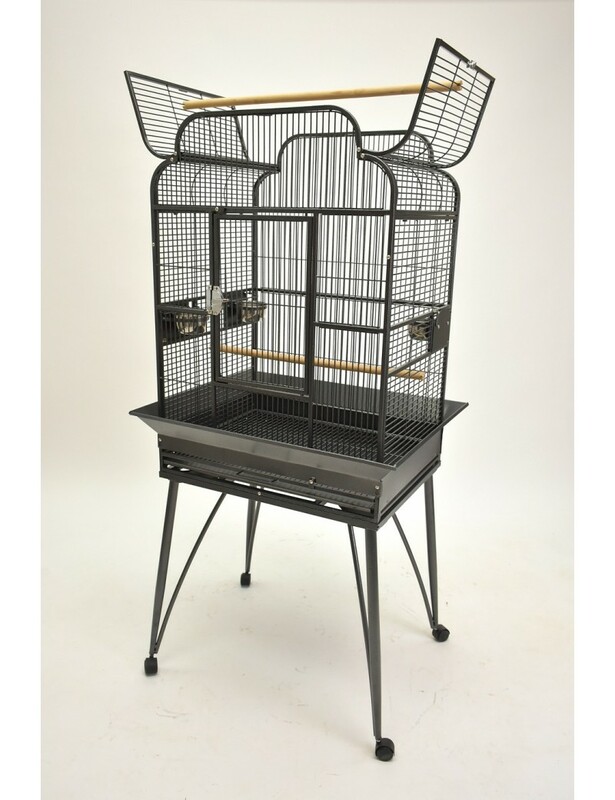 - This Victorian open top parrot cage is made of wrought iron, and it comes with sturdy non-toxic powder coating which is guaranteed safe for the bird, and easy to clean. - The parrot cage comes with 3 open-up side door with 3 stainless steel feeding bowls for easy feeding. - All feeding doors come with solid backboard to stop the mess when the bird eats. 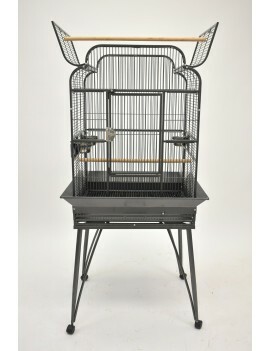 - The parrot cage comes with 2 wood perches (1 inside of the cage and 1 on the open top). - The parrot cage comes with twisting style lock and an extra metal pin on the entrance door for security guard. 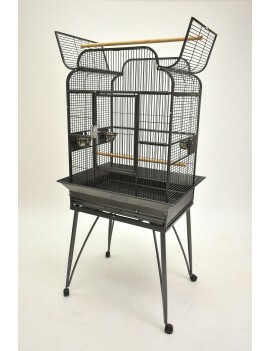 - The parrot cage comes with 1 slide-out metal tray and 1 metal grate for easy cleaning. - The parrot cage comes with surrounding seed catcher to catch most of the mess and keep your floor clean. - The parrot cage comes with 4 plastic easy-gliding casters for easy moving. - The parrot cage is suitable for small to medium parrot such as cockatiel, conure, quaker, caique, senegal, amazon, african grey, etc.